Is Ernesto Valverde a good fit at Barcelona or has he reached his sell by date? TUKO.co.ke evaluates three reasons why he could get the sack. Barcelona are a footballing super club. As a result, supporters demand only the best. 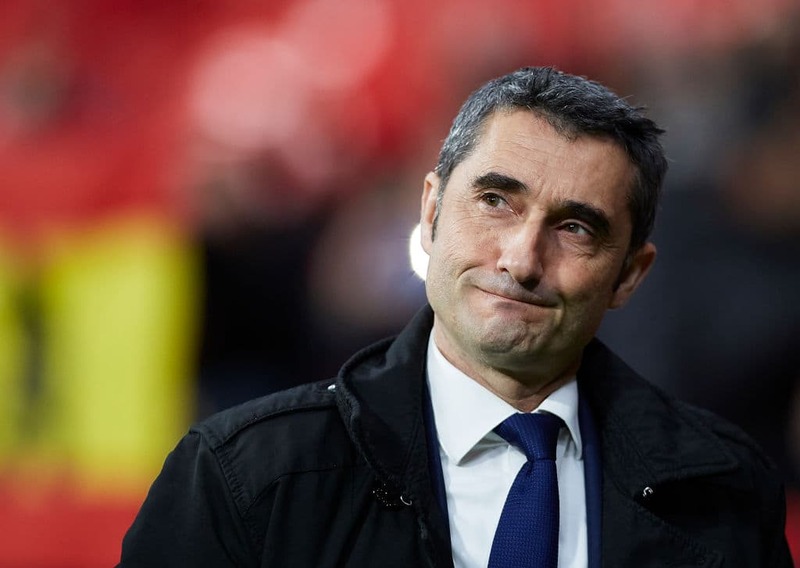 Ernesto Valverde, Manager of Barcelona looks on prior to the La Liga match between Club Atletico de Madrid and FC Barcelona at Wanda Metropolitano on November 24, 2018 in Madrid, Spain. Thereï¿½s a growing belief that Ernesto Valverde is not the right man for the job. Though he has won nine trophies in his managerial career, the Catalans are the first big club he is coached. Barcelona cruised to the domestic title last season but have been mediocre in the UEFA Champions League over the last few seasons. Here are three reasons why the club could benefit from Valverdeï¿½s departure. Barcelona are renowned for their glorious attacking style of football. However, Valverde has brought a clinical pragmatism to the play. Last seasonï¿½s Championï¿½s League tie against Roma is a prime example. With a 4-1 advantage after the first leg, it seemed a foregone conclusion that the Romans would be knocked out. However, Valverde opted for a conservative approach in the second leg with Andries Iniesta and Sergi Roberto as the wide men. Roma took advantage of a Barcelona team not known for sitting back and they pulled off an unlikely victory. There have been numerous questionable omissions from some of the squads named by the manager. This seems to point to a pecking order of preference ï¿½ not based on talent but more the relationship with Valverde. For some reason, Ivan Rakitic continues to be a mainstay in most matches even though he lacks the dynamism required in certain games. On the opposite end, prodigious talents, such as Malcolm and Ousmane Dembele, are often omitted. The La Liga giants have become synonymous with tiki taka football. Their expansive, attractive brand of football has become their hallmark and what sets them apart from most teams around the world. Under Valverde, itï¿½s been a different story though. They possess some of the most naturally gifted players who conjure up moments of magic. However, theyï¿½ve lately become dependent on moments of individual brilliance rather than blowing the opposition away with wonderful, cohesive interplay. Ultimately, the move away from the clubï¿½s beloved traditions could be the final nail in the Valverde coffin.